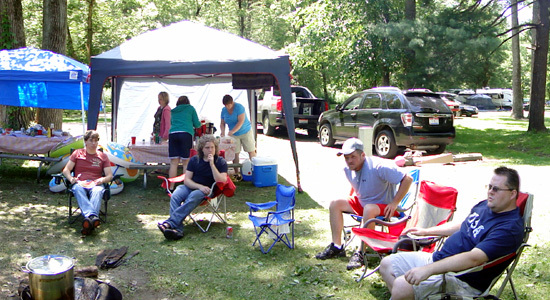 Today was the first day of our a four-day trip to Mohican State Park near Loudonville, Ohio. Sarah and I were there with Kelly, J.R, Justin, Alex, Tim, Dad, Leah, Tommy, Andrea, Hannah and Colton. We just drive to the campground and getting set up camp this afternoon. This evening we got back to basics with a campfire... and digital cameras, iPods, iPads, laptop computers and cell phones.